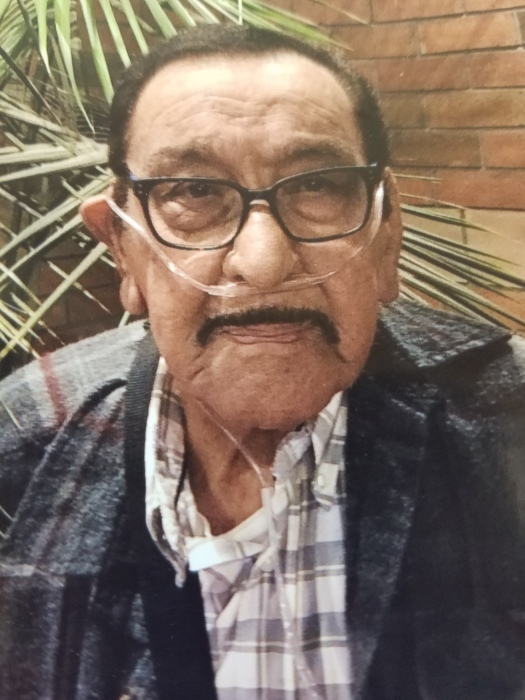 Al Luna, age 83, passed away in the hospital. He fought a brave fight, for he had many medical issues. While his family and friends miss him deeply, there is comfort in the knowledge that he is in heaven, cooking, smoking a Cuban cigar, and no longer using an oxygen tank. Al loved to cook, and he was known for his rolled tacos. He was very social and enjoyed the company of friends and family. His favorite thing was visiting Our Lady of Guadalupe Basilica in Mexico City. Services will be held Friday June 22, 2018 at Immaculate Heart of Mary Catholic Church, 537 E St., Ramona. The Rosary will be recited at 9:30am, followed by the Funeral Mass at 10am.